The first formal meeting of the Manchester Ancient Egypt Society was held in March 1987 making 2012 our Silver Jubilee. As such we are one of the longest running Egyptology Societies in Great Britain (apart from the Egypt Exploration Society, which had a head-start of over 100 years!). We hold monthly meetings and at least one study day a year. 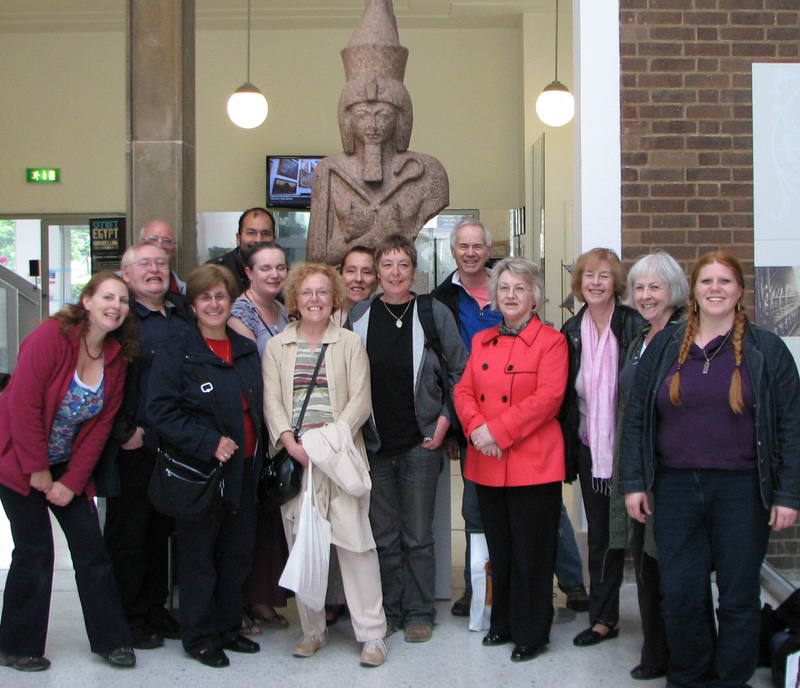 Our members also make occasional visits to museums with Egyptology collections, in Britain and abroad, and from time to time, members travel together to Egypt, to study and experience the country at first hand. At our meetings and study days we hold occasional raffles and a regular sale of Egyptology books (donated by our members) to raise funds for the society and for donations to Egyptological causes – there are plenty of bargains to be had!